Our product range includes a wide range of cast shoe-eco and prime cast shoe. 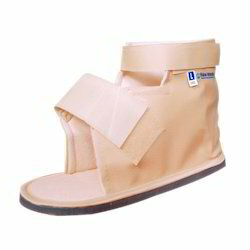 Our valued customers can avail Cast Shoe from our wide spectrum of Body Support Belts and Braces. This is designed to offer seamless protection to the cast and prevent it from soiling, wetting, and mechanical damage. It speeds up the recovery with early ambulation. The patient is offered perfect balance and perfect gait. It is made from finest quality raw material and rigorously tested for quality. We offer this to our clients at reasonable rates. 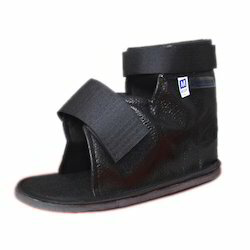 Our valued customers can avail Prime Cast Shoe from our wide spectrum of Body Support Belts and Braces. This is designed to offer seamless protection to the cast and prevent it from soiling, wetting, and mechanical damage. It speeds up the recovery with early ambulation. The patient is offered perfect balance and perfect gait. It is made from finest quality raw material and rigorously tested for quality. We offer this to our clients at reasonable rates.